You might have to look a long time to find someone in Kern County who has not only done more for North High but others as well. Greg Fowler, blessed with a very successful business (Brown and Fowler Construction), originally got involved volunteering his time at North of the River baseball fields. His young son Matt was playing there and Greg was always ready to lend a helping hand. Greg graduated from South High in 1967 where he played some basketball and four years of tennis. He got involved with North of the River Recreation and North High School athletics after moving to the Oildale area in 1987. There he met North High coaches Stan Moe and Tony Silver and began getting involved with projects at North. Starting in 1991, all he did was assist Rolly Rhoades with the installation of lighting and seating for the tennis complex and handle the grading and laying of sod for Turk Eliades Field. And, oh yeah, for good measure, he also helped put up the scoreboard. In addition, he helped Duane Williams build the girls’ varsity softball complex, known to be the best in Kern County. And he wasn’t finished yet, not by a long shot. He still found time to donate his time and efforts to help Tony Silver with the leveling and sodding of the boys’ varsity baseball field, put up new dugouts and a scoreboard and add stadium type seating. That’s a career for most people, but not Greg Fowler. He went to work with Stan Moe to remodel the North High Bingo Hall on Knudsen Drive. In 1990, he was named the Bakersfield College Light Brigade’s Man of the Year at their annual BC Baseball Hot Stove Dinner for his efforts in helping install lights at Gerry Collis Field. He helped Stan Moe and Eldon Ross with the JV baseball team from 2003-2008. He was elected Booster Club President in the late 1990’s and has continued to be a huge supporter of NH Athletics. Never content to sit back and let others do the work, he was always ready to lend a hand (or backhoe) whenever needed. It’s a testament to Greg’s kindness, generosity and easy-going personality that he made him available for so many projects. 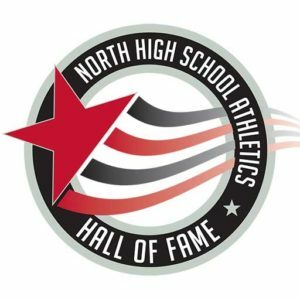 Thousands of student athletes and coaches have benefited from the prodigious work ethic, skill and bottomless compassion Greg brought to North High projects. Greg’s company is still going strong, celebrating 30 years in business. He credits Marilyn, his wife of 44 years, and his children and North high graduates Meagan (Class of ’95) and Matt (Class of ’97), for supporting his efforts. Congratulations to Greg. Thanks so much for moving to Oildale.